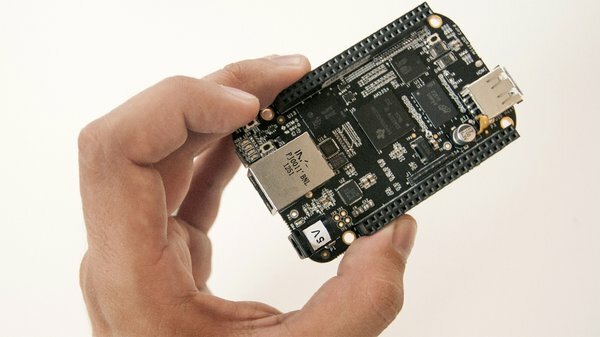 Just purchased a BeagleBone Black kit from MakerShed as part of my retirement planning (entering a 4th career phase as a tinkerer/coding teacher). First off, had a bit of a problem finding a 5V DC power supply. One that I spent $25 on didn’t work, then found a “Verizon” 4A power adapter recommended by another Beagler. Meantime I’m testing out the networking of the little guy. That took about 3 hours, but in the midst of it, the ethernet connection was established, and I could find out the IP address of the Bone by using nmap. So far so good. Now I’m installing emacs and trying to get the Realtek wi-fi dongle to work with my home network. Apparently emacs doesn’t work (swallows keystrokes when used over ssh). So I’ll have to learn nano.